GliderCell is a place for thinkers, creatives and possibilities -- a group working across disciplines to create all varieties of new content, but especially new programs in gamification, game-based learning and other types of self-organizing systems. Cofounder Lee Chazen has a professional background in education and business (see below) and works mostly as a writer, developing content and ideas for almost any kind of organization. Specialties: education, curriculum, EdTech, FinTech, FinServ, gamification, cryptocurrency, blockchain systems and decentralized autonomous organizations, but can prepare content for just about any type of program. Write a white paper for an ICO, blockchain company, app-based startup, Ed Tech, FinTech, FinServ or similar organization. Write or advocate for a cause. Organize, develop, write or edit your company or organization’s content into a “Content Matrix,” and then set up a system to “stream it out” on social media at strategic times during the week. Build a “community” around a particular product, service or idea. Create a content strategy plan integrating Facebook, Twitter, LinkedIn and your choice of blogging platform. Other Areas of specialty: experiential learning, curiosity-driven learning, project-based learning, collective intelligence, self-organizing systems, system design. Designed a system for continuously streaming effective and engaging content for a Silicon Valley FinTech company. 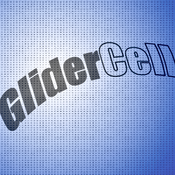 GliderCell is a new word (derived from the band of "rogue" cells on Conway's Game of Life) to describe the creative forces that often arise out of chaos. A problem solving, creative content production group and cross-discipline mobile think tank, applying theoretical insights, scientific knowledge and other-worldly levels of creativity to construct better things. Delivery time: Please allow 48 hours for delivery of the PDF. Delivery type: Sent through email as a PDF, which you can then download.